Blackjack players think that some casinos cheat by removing high cards (Tens and Aces) from the deck. Of course, casinos remove not all large value cards. The deck lacking at least a couple of Tens, let alone Aces, increases the house edge. Let`s see if these fears are justified and find out how to avoid being cheated. We`ve already explained why high cards are to the Player`s rather than to the Dealer`s advantage. The Player is free to use his/her cards as he/she wants, while the Dealer must take cards according to the rules. The player can split Tens, double Elevens, and so on. Moreover, the Player is paid 3:2 for a Blackjack, while the Dealer gets 1:1 only. Card counting basically involves determining the ratio between high and low cards. If you don`t understand why the Player benefits from large valued cards, our advice is to read the article mentioned above and keep improving your Blackjack skills. Some games played by regular Blackjack rules don`t offer Tens, the most striking example being Spanish 21. This game is played with 48-card Spanish decks with the 4 ten-spot cards removed. To compensate the advantage the casino gets by removing all Tens, players are offered more beneficial rules and special bonuses for some card combinations. We won`t assert that this never happens. In theory, dealers may remove a couple of Tens from some decks without the Player noticing it. However, this won`t bring a significant advantage to the casino (0.5% for removing one ten-spot card), while the risk of getting into trouble is high. This issue is easier to resolve. Don`t play at casinos powered by suspicious software. The Web abounds in reputable online casinos overseen by independent auditing authorities which issue certificates of conformity. Moreover, large companies such as Microgaming and Playtech, won`t let their software to be involved into cheating. 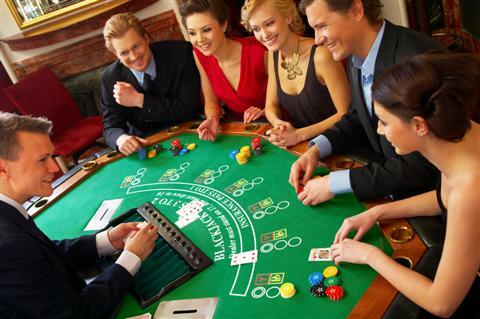 Therefore, suspicions regarding online casinos can hardly be justified.